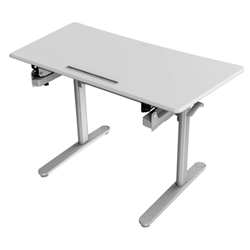 Features: From Sitting to Standing its the New Sergio desk. Other Information: Gas lift operation. Control levers on both sides for ease of adjustment. 12 height setting options. Weight rating 22KG. Size: 590mm deep x 1190mm length.